A little while ago we wrote about the Cocoon 1 mobile room. Here’s another from the bubble-as-room idea pool, the Bathsphere. As you can see in the very nicely presented, rendered image above, the Bathsphere is a suspended glass bowl. Inside is a shower head, and an insertable flat floor. Bathsphere is the concept of space in space. After a hard day’s work and the noise of the city, we find ourselves in a little world Bathsphere. Suspended inside a glass bowl, you can create your own mood. We can simulate rain, change the temperature inside the ball, humidity, light, sounds and even smells. 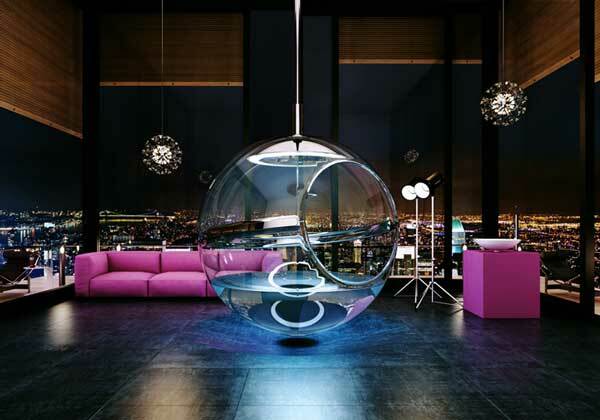 Because Bathsphere suspended and consists of glass, we can create a sense of weightlessness. 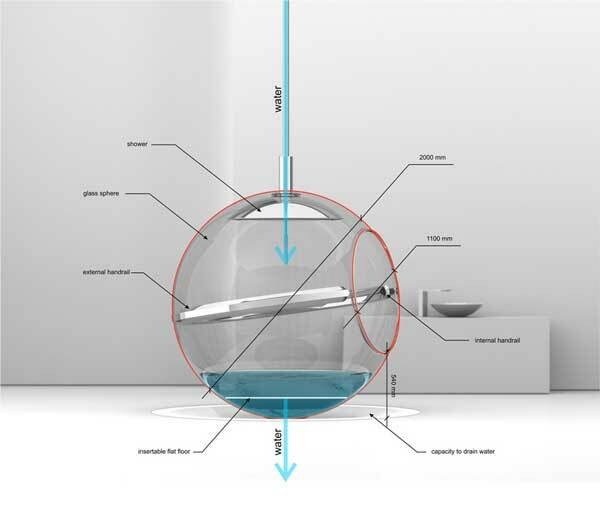 Unlike the Cocoon 1, the Bathsphere is not yet a real thing, it’s a design concept. But interesting, yes? If it is eventually manufactured, I’d be interested to see how easy it was to get in and out of the Bathsphere. And if some sort of stabilising device might be necessary for access, or indeed for the seasickness-inclined. The image below shows a little more detail, such as how the water is added and drained, hand rails, and the placement of the showerhead. Next ArticleHow does the Tour de France make it to your TV?